Energy management controls for walk-in coolers and freezers are a great way to more effectively control energy costs and help extend the life of your commercial cooling equipment. Central New England restaurants, convenience and grocery stores, and other commercial businesses that utilize refrigeration and freezer equipment rely on Young’s Cooling for energy management controls. At Young’s Cooling and Leasing, we provide complete energy management controls installation and maintenance so store and restaurant owners and operators can get a better handle on their energy consumption and costs. For example, we sell and service top-quality products from KE2 Therm Solutions, which makes the industry’s leading energy management controls, such as evaporator efficiency controllers and data loggers. These state-of-the-art energy management controls provide significant advantages and savings over traditional analog controls. 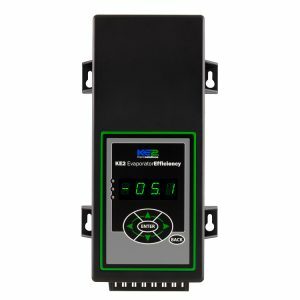 The KE2 Evaporator Efficiency controller reduces defrosts by up to 87 percent over traditional time clock controllers, saving up to 20 percent in system energy, with a return-on-investment that’s typically under 24 months. And that’s just one example of the kind of savings you can realize from energy management controls from Young’s Cooling. The KE2 Data Logging is another feature of the energy management control that eliminates manual temperature data logging and provides all the data necessary for system analysis to help you spot any potential cooling equipment problems before they become big ones. These are just two of the energy management control solutions we provide our customers. Bring us your energy management problems and we’ll recommend and install the energy management controls to solve them. To learn more about energy management controls throughout central New England, contact us today.